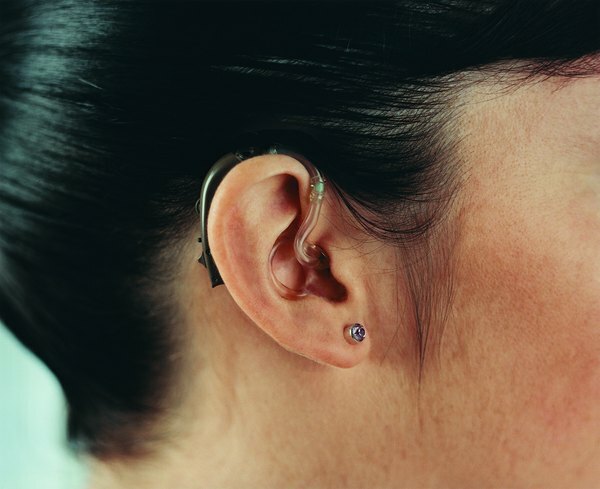 Insurers sometimes require special coverage for hearing aids. Whether it's part of a homeowners insurance policy or a renters policy, personal property insurance provides coverage for a wide range of belongings, but special high-cost items like hearing aids typically either aren't covered at all or are inadequately covered. Due to this, many insurance carriers will sell you a separate rider that more fully protects your hearing aid, while other companies will sell you completely separate coverage. However you choose to insure your hearing aid, you will need to prove that you have it if you want it to be covered. You will need documentation of basic information about it, such as its model number, serial number, and purchase date and price. Some insurers may also require that your audiologist inspect the hearing aid and certify both its existence and its condition. If your main policy doesn't specifically exclude hearing aids, yours may already be covered. In that instance, you would just need to have proof that you owned it. In addition to looking to see if hearing aids are covered, look to see if your policy includes "off-premises" coverage. If it doesn't, your hearing aid will only be covered while you are at your home. Also, if you use your primary coverage for your hearing aid and you lose or damage it, the replacement will be subject to your home's main deductible. You can cover your hearing aid by buying an additional policy, sometimes called a rider, that goes with your main personal property insurance. This policy covers only specifically listed, or scheduled, personal items. It's the same type of insurance that you might buy for firearms, valuable jewelry or collectibles. Riders also offer separate coverage and separate deductibles from your main policy, and may also cover events that your main policy wouldn't. If your existing personal property insurance provider won't cover your hearing aid, you also may have the option of purchasing a separate specialized hearing aid policy. These types of insurance can protect you against loss, accidental damage or breakage. Some will even cover repairs on out-of-warranty hearing aids, as long as they are in good working order.